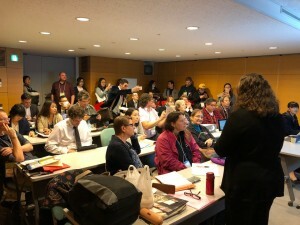 One of the biggest events for English teachers in Japan is the JALT International Conference. Each year it is in a different city, but is often held in Shizuoka. 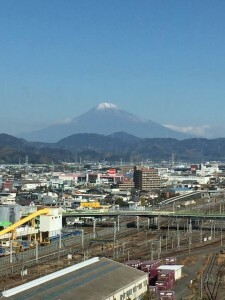 This year the weather was very nice so we could see Mt. 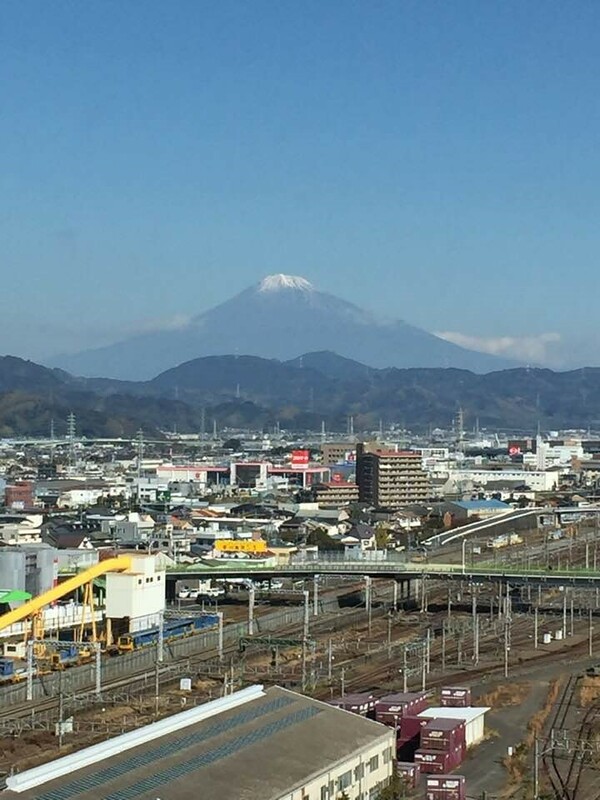 Fuji very clearly. I always leave this conference feeling energized because it is a great opportunity to catch up with old friends and hear new ideas. It’s also a chance for me to present on my action research done while getting my MSc in TEYL. My first presentation was simply called, “How Should Grammar be Taught to Children?” I was happy to have a large, energetic audience to share my findings with. In this research project, I studied if children could correct their own grammar mistakes and discovered that students over the age of ten could do so and thought the project was useful, while younger students usually could not and had a negative view about this grammar error correction project. 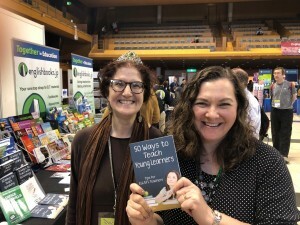 I also shared what the experts had to say, that children under the age of ten should not be explicitly taught grammar rules using meta-language (for example, noun, verb, or adjective). It’s interesting that while the subject is of interest to most teachers, there is very little written on the best way to teach grammar to children. Right after that, I had to hurry to get to the ER Colloquium, where a number of teachers were making 5 minute presentations on their Extensive Reading programs or other issues in ER. My presentation was on writing graded readers and the reminder that students want to read the same kinds of things they enjoy reading or watching in real life. Classics are fine, but these stories are often not the students’ first choice. If they know the story already, the student may be tempted to take a quiz or write a book report on the book without having actually read it. Comics, manga, interactive stories, light stories, and stories that resemble popular TV shows or sit coms should all be considered just as worthy as the classics. These kinds of stories are also much easier to write at the easier language level needed for lower level students. Unfortunately, I couldn’t stay for the full colloquium because I had to be a panel member on the “Games and Gamification in ELT” panel. The other panel members were Louise Ohashi, who has done a lot of research into using digital games in the classroom, Marcos Benevides, who has incorporated game-like features in materials he has written, and Lindsay Clandfield, one of this year’s plenary speakers and someone who knows a lot about how students use digital games to learn English. 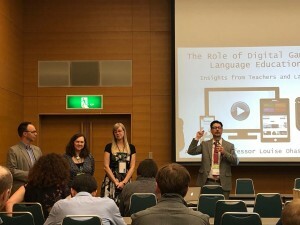 I was the only teacher of children on the panel and shared how I feel games are overused in children’s ELT and too many teachers see them as an endpoint, rather than a tool to practice language needed for future language production activities. 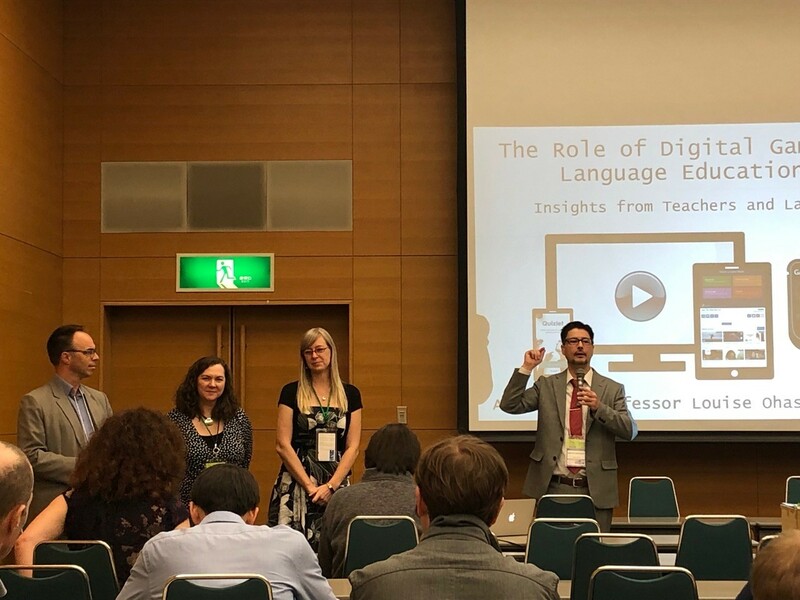 I also discussed how there has been a gradual acceptance by parents of the use of digital games to learn English, especially with the invention of the iPad. After making three presentations in a row on Saturday, I was happy to spend Sunday just attending them. At the materials exhibition, I also caught up with the owner of Halico and the other writers on that team, as I’ll have five graded readers from this series out in 2019. Five years ago, I wrote an e-book called “There Must Be 50 Ways to Teach Young Learners.” I’m pleased to announce that this book is now in print! It was really exciting to flip through the pages after only seeing it on a computer screen for so long. 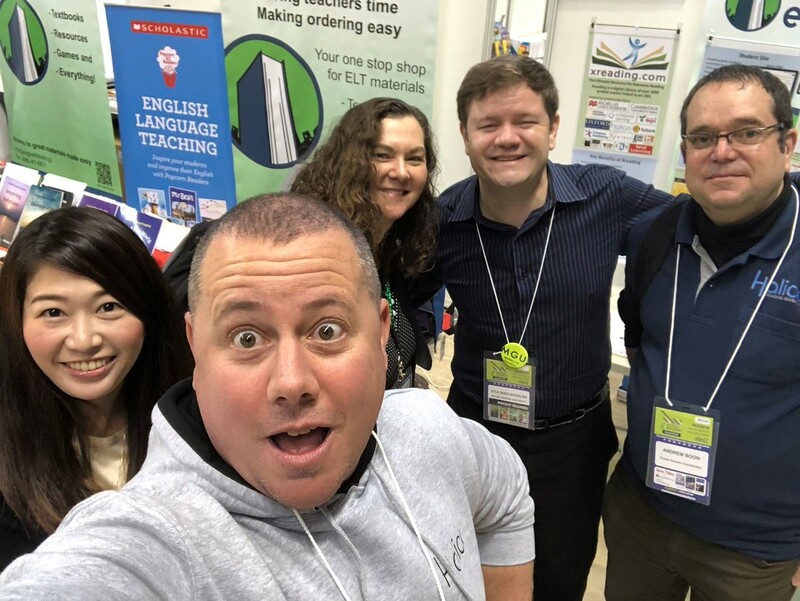 Attending conferences like JALT is the reason I’ve been able to teach enthusiastically for so many years. 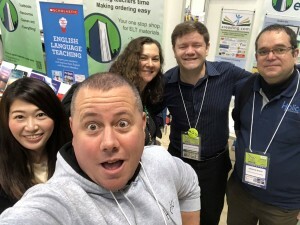 It’s important to hear what is going on in English teaching outside my classroom, around the world. It’s “no horsefly” to touch the fruit! Sugiyama University, thanks for a great three years!